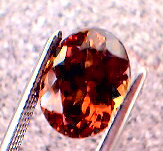 Two Imperial Garnets from Africa photographed under different lighting conditions. 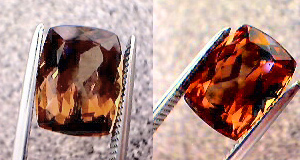 In the top photo, the oval had to be modified to show more of the real color. We would call the body color a dusty rose or beige color under fluorescent and under incandescent light, the color turns to more of a pink . This is what we have seen in the past when we have had similar material. Note that this material is not common and can be quite costly. Larger pieces cost more and have the likelihood of having more black platelets. We choose these two pieces from maybe 10 or so pieces. They were chosen for not only color, but for cutting and clarity. They are eye clean and in louping them, we don' recall seeing any black platelets, but if they are hard to find and are there, it indidates natural origin and perhaps even the location from where they were found. 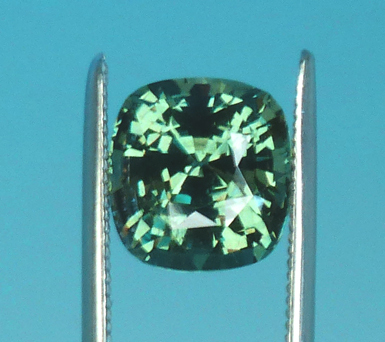 Very nice color change garnet going from an amethyst purple to a green with a hint of blue. Note that we have a decent amount of this material stashed away from the early 1990's. 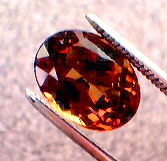 They range in weights from about 0.14cts up to about 0.75cts. 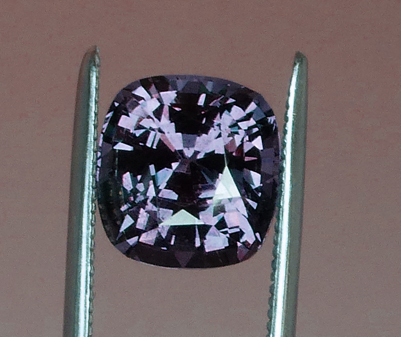 The color change is exactly like Natural Alexandrite. Please visit our Inventory to see what is available! 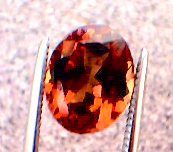 We have a small parcel of hand picked color shifting or color change garnet from Madagascar. The color goes from a smoky orange to a bright reddish orange. 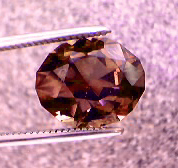 When more than one light source (both incandescent and fluorescent) is available, one will see numerous colors flashing from the gem. 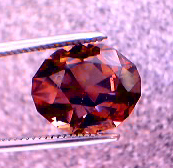 It looks something like a fine Orangy Andalusite. 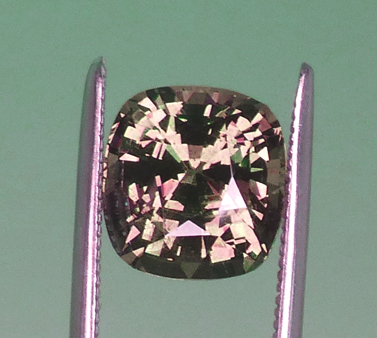 There are a total of 9 pieces totalling 21.80cts - the shapes are ovals, cushions, etc. 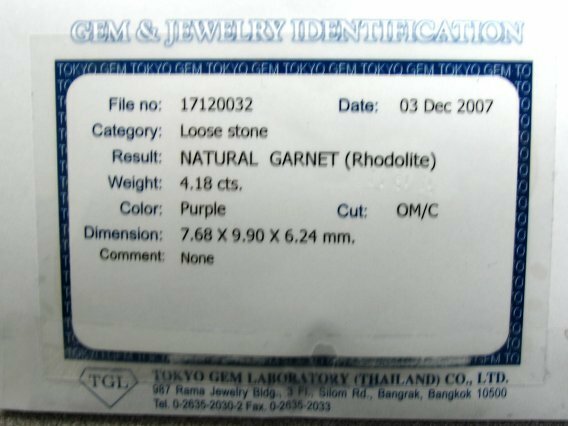 The price is $450/ct - the average weight is about 2.4cts and therefore, the average price per stone is approximately $1,310 This is something that is unique and it is always unknown how long this material will be available. Don't miss out - you will NOT see these in stores, tv, etc. 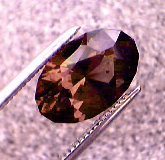 (but then again, many of our exclusive stones cannot be offered due to their rarity). 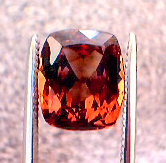 2.17ct Color Change Garnet, East Africa, U.S. Cut - $977 Note - the photos do not do the color change justice - not vivid color change, but noticeable, from burnt orange to red. 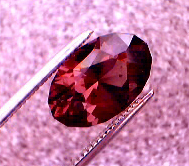 "I finally have some time to let you know that I received my order, the "Alexandrite-like" color change garnet. I was absolutely "floored" when I saw it! 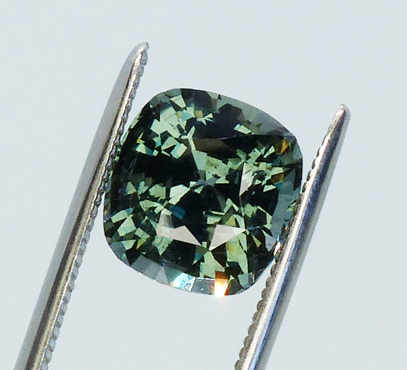 I put it to the test with my few Alexandrites that I have, and it put some of them "to shame". Like I told you on the phone, I only have one room in the house, the basement bathroom, where I can see the maximum color change effects. 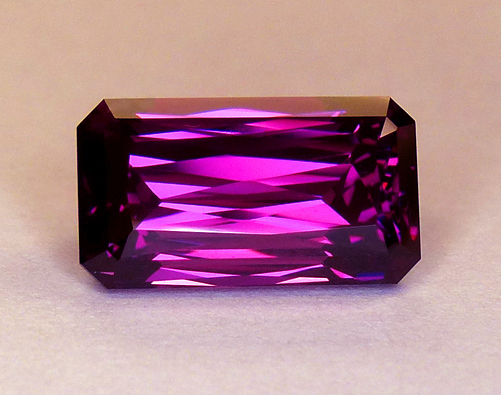 This stone is surely a WOW! I will be in touch with you in the near future to find another one, a little larger next time. I hope the quantity and quality last for quite a while. I have one question, if you have the time to answer it. 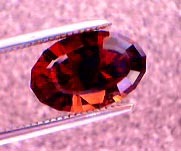 Is this the pyrospessartite genus of garnet? If not, than what is its name? Thank you for your help, and the stone." " found your site through an internet search not one of the industry publications that you mentioned you have been advertising in. It's a great site. 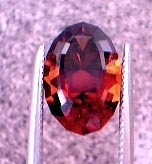 I really enjoyed it, not to mention falling in love with the color change garnet!!"